Braga is increasingly on the route of the meetings industry (MI) and the region players, and throughout the country, recognise its growing weight in attracting congresses and events to the North of the country. But is it ready to receive major events or even work in coordination with Porto in this business? At the Event Point's Breakfast held at the Hotel Meliá in Braga, the debate on the bishops city role in this segment was enthusiastic and attended by José Carlos Coutinho, from the new PEB (Braga Exhibition Park), António Barroso from the local council, Sandra Lorenz from Porto Tourism Association, Jorge Ferreira from Best Events, Delfim Filho from Hoti Hotels, João Paulo Oliveira from Leading, Cristina Padilha from INL (International Iberian Nanotechnology Laboratory), Ana Torres from AM-The Experience Group, Júlia Costa from University of Minho, and Andreia Almeida from Meliá Braga. Those who work to attract business no longer look at the so-called "second-line cities" with any prejudice. The great events being held at INL, as well as the investment to relaunch the PEB and the dynamics of University of Minho (UM) are three of the anchors for Braga to become an important player, whose influence spans from Porto to Santiago de Compostela. MI professionals are increasingly looking for different destinations. And Braga has all the conditions to respond to this need, with its cultural and religious sides, as well as being quite close to Gerês, among other things. In addition, the city, which has already been mistaken for Prague in international presentations, is beginning to gain a name for itself and to have a growing hotel offer to accommodate business travellers. Braga's main arguments for attracting MI business are having an airport 30 minutes away (in Porto), bureaucratic problems easily solved and being an ideal base to visit the North region, also taking advantage of the momentum Porto is giving to this area of Portugal. Braga is also more and more relevant in knowledge areas, with the help of University of Minho and INL, which has several large-scale events planned until the end of this year. The university occupies its spaces with its own events, after a great investment in these infrastructure, although organising events is far from being the institution's main business. For UM, budget constraints are always a complicated factor to evercome at the time of holding a congress, for example, although their recent bylaws amendment to a public foundation helps to overcome some bureaucracy and more easily work with experts in this area. As for INL, it is without any doubt investing in attracting events considered interesting for the institution that can then be converted into meetings and agreements. Some argue the city needs a Convention Bureau, to better articulate the offer and specifically promote the region. But Braga now has the support of tourism structures of Porto, a city with which it increasingly articulates work to organise the events that come to the North, a strategy that is making more and more sense, since Porto is experiencing a very strong growth and does not always respond to all requests. And Braga can host those events and many more, while at the same time applying for projects in along with Porto. In this sense, having recently becoming a member of Porto Tourism Association makes perfect sense. Local and national players working in the city want to pass the message that the bureaucratic machine set up in Braga helps a lot when it comes to overcoming obstacles in any event, under the motto "Working in Braga is easy”. Proof of this is the forthcoming inauguration of the new PEB, a project that has matured over the years and is therefore designed to meet the sector's needs. This venue intends to assert itself by polyvalence, flexibility and management and to take to the market all the strength of the remaining partners of the city, be it the autarchy, hotels, companies and education and knowledge organisations. The rebuilt PEB aims to erase the bad image of the previous pavilion, which lacked the conditions to receive even the smallest events. 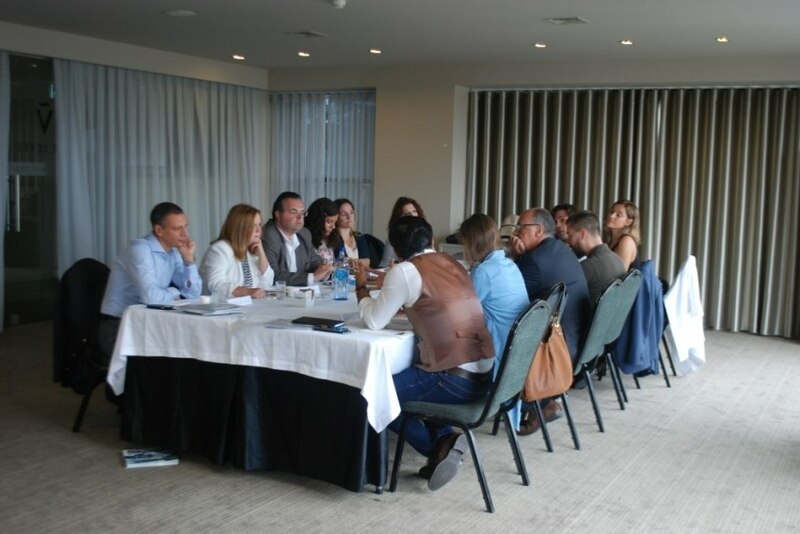 And it is becoming increasingly clear that the agents sit at the table, plan and work together, even with regard to the hotel offer, which is sometimes complicated to quickly arrange for a large number of people. However, it is still necessary not to rush things and, above all, to put Braga in a competitive position in terms of prices, with the right balance between competitiveness and quality. Investing in the MI is also a way to fight seasonality, with the city being known mainly by its religious component, with its maximum exponent during the Holy Week. Braga is also aware of the effects that mass tourism is having in cities such as Lisbon and Porto. The city wants to avoid real estate speculation and take care of those who live there, to reap the benefits of this business and not suffer from its negative aspects. On the other hand, people not always know what offer there is Braga and the city invites those curious to visit the Cathedral or to an archive that holds a document signed by D. Afonso Henriques. With no big announcements, the city is hosting events and congresses and is now committed to recovering and managing its Youth Hostel, with the aim of attracting more stays for those who want to visit the whole of the North. And with special attention to families, who have a customised offer to their needs.